I made Cecily a new bed. She has 3 other big soft doggie beds around the house, but she prefers to sleep right next to the Rayburn pipes where its warmest. As I'm invariably trying to cook over and around her with my nervous ankle, I decided that the compromise solution to this tea time standoff was a smaller tread-on-able bed. Its made of two layers of home dec weight fabric, with a squidgy filling of 6 layers of wool and cotton offcuts of batting, anchored with a few cross rows of quilting. Can you see that look? Shes definitely saying 'I'm lying on it to humour you, but honestly, its a bit small and a bit flat mum!'. Version 2 is in the offing, could you resist that look?! Oh, the sun came out! Did you see it? It lasted all of about 15 mins here, but just that little spritz of springishness has sent me into a zingy springy mood! I just pulled these fabrics, on a calm grey check. My inspiration is 1950's atomic colour schemes, it all just seems such a springy and hopeful era? I'm making class samples for my Modern Applique class that starts after Easter. I'm sure you've all seen my lovely finished quilt ( made in the now iconic Flea Market Fancy Legacy fabrics), but I also like to make for each class some blocks where you can see the back! I'm sure it's not just me, but whenever I see a quilt, in a show or a museum, I just really want to have a look at the back, you know, just to check it out? It's like the man equivalent of taking a look under the bonnet, or prising the back off something electrical, just to, you know, see whats going on with the mechanics?! My observation from teaching patchwork is that you need to let people 'see the mechanics' of a block so I like to make a few blocks up to hand around. Of course as you know I'm addicted to fabric, so any excuse to make a second quilt ( ok third!) in the same pattern legitimately without my daughter rolling her eyes at me and saying 'muuum' in that way only your kids can! It's giving me some spring joy, come and join in and sign up for the Modern Applique class if you want to share the feeling! This post is over a week late for Valentines now. I had been working on this Hexi-Heart cushion for a week ahead of Valentines as my kids had pointed out, with incredulity, that we had nothing 'special' to decorate the house for valentines, which wasn't really fair on Valentines, as Xmas and Easter had their own 'special' stuff that comes out on display! Don't you love kid-logic? Its a really simple pattern, just make a heart shaped English paper pieced hexagon shape, then applique to a pillow. I made the pillow background quilted as the background polka dot was quite thin and I like a substantial pillow covering as they get rough - housed in the playroom quite regularly. I have interrupted my planned crafty making this week for a bit of emergency crafting in response to the current chilly weather. My children called on me to help! Cold Feet! Day and night its cold in our house away from the immediate vicinity of the wood burners, hot water bottles are the only way to keep the cold at bay and ours were looking SAD! After a cheerful destroy of my carefully placed fabric stacks my kids have rustled up their colour and fabric combinations and I was set to work. Sewing on my sewing machine with my foot in a CAM boot was an interesting experience! I like to think of it as crucial physiotherapy given my right foots usual occupation - but its fair to say this was not my most controlled sewing. Having said that, going fast at least meant less time in my cold sewing room! These were as simple and fast as can be but you could really go to town on these, use up any 'orphan' blocks left over from other projects, try out a new block technique or applique pattern - I can see a lot of hot water bottle covers in our future! These hot water bottle cases were fun and fast to make and would make fantastic presents. I'm going to run a class next autumn. I am already planning some jazzy patchwork and applique numbers as class samples! Should be perfect timing for Xmas gifts. In the introduction to my quilting classes I always stress that making a quilt is about more than just sewing bits of fabric together. There's a kind of magical alchemy about the process of making a quilt. It's a process that takes repurposed fabrics and the memories they carry, it relies on skills from the past, and makes them into a new item, imbued with love and hope for the future. Its's a slow process, love and time and patience get expended. But most importantly for me, it always was, and still should be, a social undertaking. Its not just patching fabric, but patching societies, friends and families together too. I do have the best job in the world, I get to share the hobby I love and I get to see wonderful creative women take the skills they learn with me and really run with it! I was so proud to hear that the ladies from my last 'Simple Sampler : Introduction to Patchwork' class have been hard at work since our class ended before Christmas. 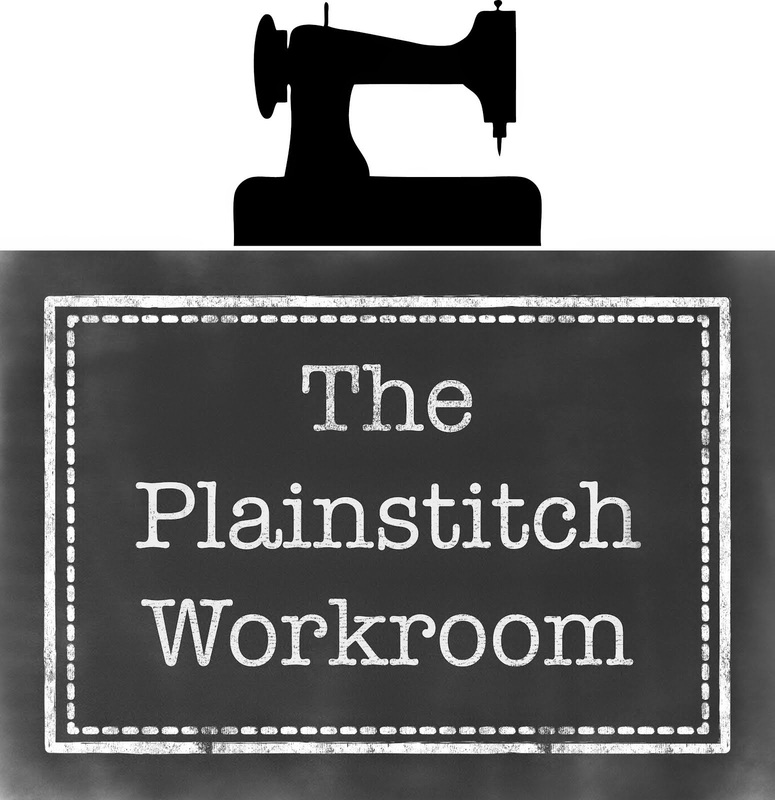 Check out their new blog called Sew& Chat. They loved meeting up so much they've decided to make it a regular feature to enjoy each others company and share and support each others work. Having found myself in the very lucky position of weeks of enforced crafting I thought that now I can make it upstairs unaided to get to the computer at last I couldn't miss this opportunity of showing you my handiwork. Now of course there has been a HUGE amount of quilt - based craftiness in my blog absence, but at the risk of tipping into 'bus mans holiday' territory I thought I'd better use this opportunity ( I had ankle reconstruction surgery to finally mend my summer foot/rabbit hole injury over Xmas that means I'm in plaster and CAM boot, on crutches, for the foreseeable!) to try my hand at something new. Someone said to me that the best discipline as a teacher of one craft - is become a student of another! Its no secret that I love to sew, I especially love to hand sew so I decided it was time to step out of my comfort zone and try something new. With this end in mind I lined myself up the wonderful Wintery Cross Stitch project above for my winter time convalescence. I had planned that this would last me most of the 12 weeks, but I had not factored in the LOVE element! Now if you're an aficionado of cross stitch, do forgive my beginners explanation - but for those of you new to it like me, there were some crucial differences within cross stitch that I had failed to grasp in the past, and had kind of put me off a bit trying it. About 2 years ago I came across the wonderful Emily Peacock who designs really modern fantastic cross stitch canvasses and splurged on this wonderful kit to join in with a MakeClub friend who was making one. I was so excited. The kit is counted cross stitch, which means that you 'count' the pattern from a coded chart onto a plain canvas. The background is a stiff woven canvas with regular 'holes' where you make your crossed stitches. You use wool as your 'thread'. The whole picture is made up of stitches, including the background so that in the finished piece no canvas is seen. These kind of kits are sometimes called Tapestry kits, NeedlePoint or counted cross stitch. Unfortunately when it came to cross stitch on canvas I just wasn't feeling the love. You see it was all just a bit, and I know this sounds absurd, but, well, scratchy! Anyway, I gave up :( and the very expensive kit has just eyed me dolefully from across my sitting room ever since! Cross Stitch and I just couldn't get along as far as I was concerned. Then I saw this Winterwoods sampler made by the wonderful Alicia Paulson, it was love at first sight. I ordered the pattern, ordered the linen background and the threads and waited in excited anticipation! I even made myself a set of special quilted storage pouches for my new 'stuff' ( sad!). When everything came I laid it out, sort of looked again, this time without my craft love goggles, and started to read about how I would go about actually MAKING it. I confess i made that kind of scooby doo noise of confusion - doh! I don't know quite what I was expecting, but it wasn't this! Gorgeous shimmering embroidery thread, wonderful smoky pearl coloured fine linen - now this was my kind of thing! After a slight melt down 5 hours after coming out of surgery with both feet suspended in the air and a drip in my hand, dosed to the eyeballs on morphine i could not understand how i was supposed to cross over two thread of the linen ( probably not the time to begin your first cross stitch on even weave project, friends!) I was away! Ok, so again apologies if this is obvious to everyone else but this was all new news to me. This kind of cross stitch uses an 'evenweave' fabric as its base. This is a fabric that has been specially woven to have an even amount and spacing of threads. This allows you to count the warp and weft threads to make even sized stitches and to follow a chart to figure out where to put your stitches. Now it sounds a bit scary, and the first hour was a bit, well, squinty! But as soon as you get your eye in you are away and you stop noticing the need to squint and count! Gracious this is not painting a good picture of me in your imaginations when you factor in the noticeable limp along with the squint and random muttering! I have just finished the Winterwoods sampler and its gone to Mel to be framed and I've managed to acquire a whole box of wonderful embroidery threads and have leapt feet first into a new sampler from Etsy company Modern Folk. It requires you to choose your own colours which is very exciting, I'll get some pics to share soon. 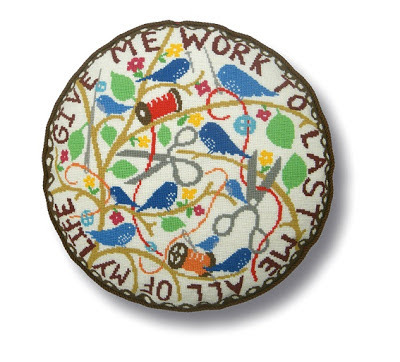 Next time in Adventures in Needlework i'll share some fledgeling love for Crewelwork!